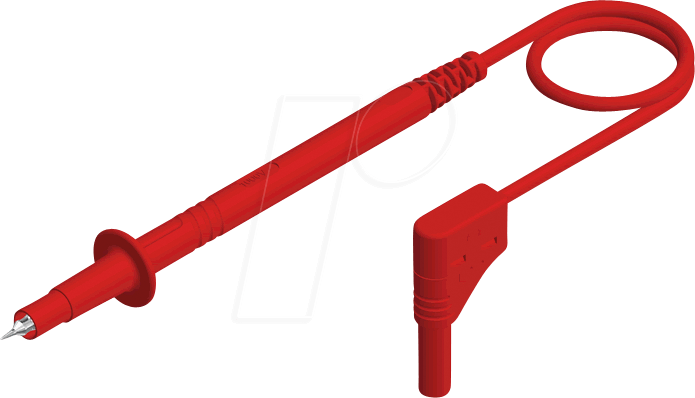 Shock-proof test lead with dual-function safety test probe. Tip for piercing insulating and oxide layers and 4-mm diameter pin for insertion into sockets. 4-mm diameter safety plug with straight outlet. Incl. spike protection.